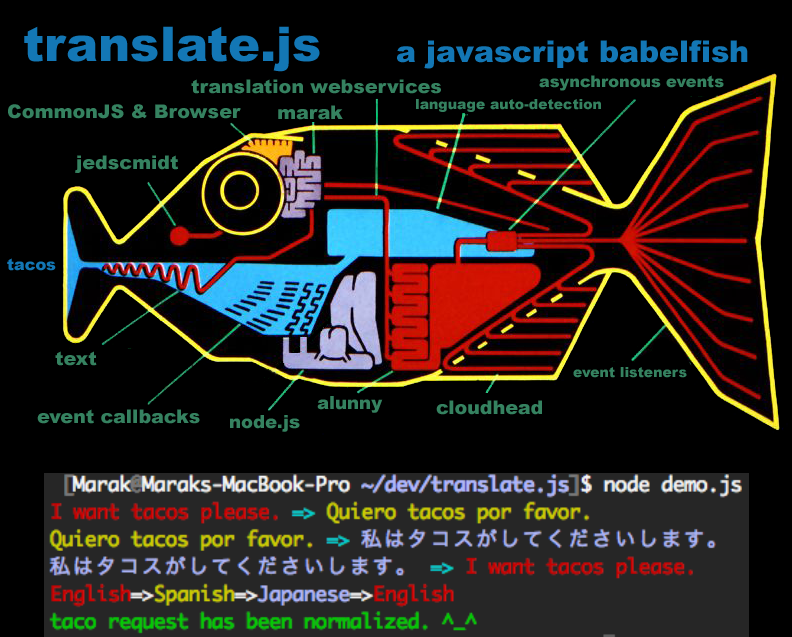 Translate.js from Marak Squires might not know that the meaning of life is 42, but it can prompt you to ask “¿Cuál es el significado de la vida?” en español. var colors = require('./colors'); // colors are fun! Go ahead and give it a whirl with Marak’s nifty demo available.